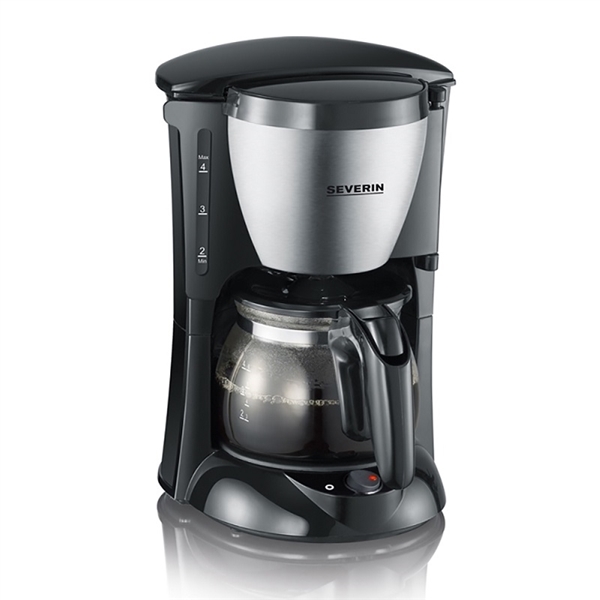 This Severin coffee machine has the capacity to make up to 4 cups of coffee, making it an ideal product for small self catering properties or kitchenettes. The coffee is kept hot with the hotplate feature and has a clear on and off button. The coffee machine has a removable swivel filter for ground coffee and 2 non-drip valves to ensure effortless cleanliness.